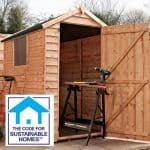 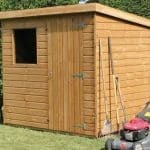 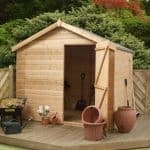 This is a traditional garden shed which will complement any garden. 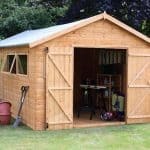 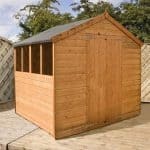 Constructed from hard wearing and long lasting wood and with classic overlap cladding it will last for many years, remaining sturdy and functional. 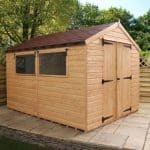 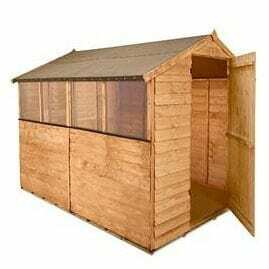 Complete with windows for light and air and an excellent storage space for all manner of garden equipment it will be a welcome addition to your garden.